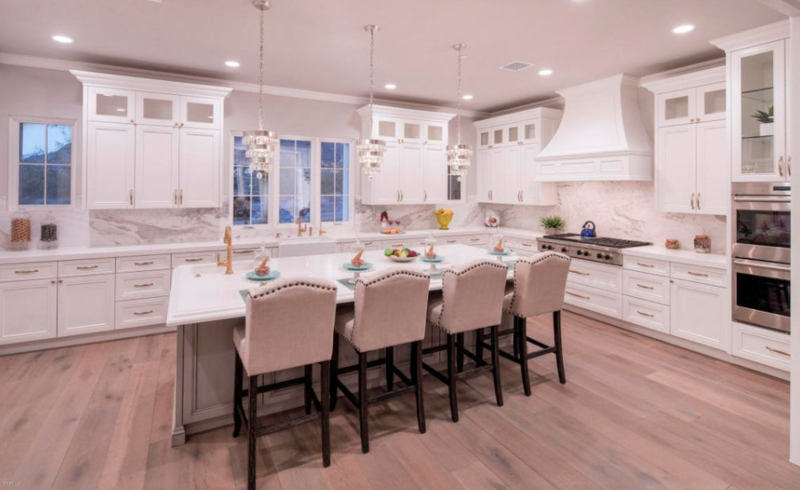 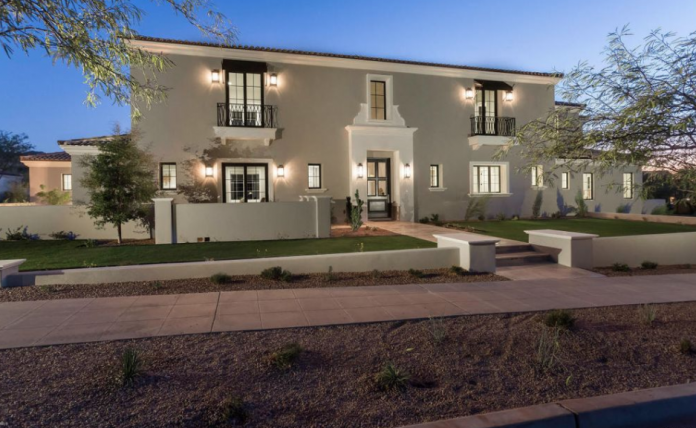 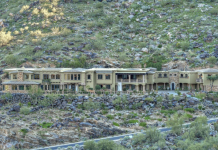 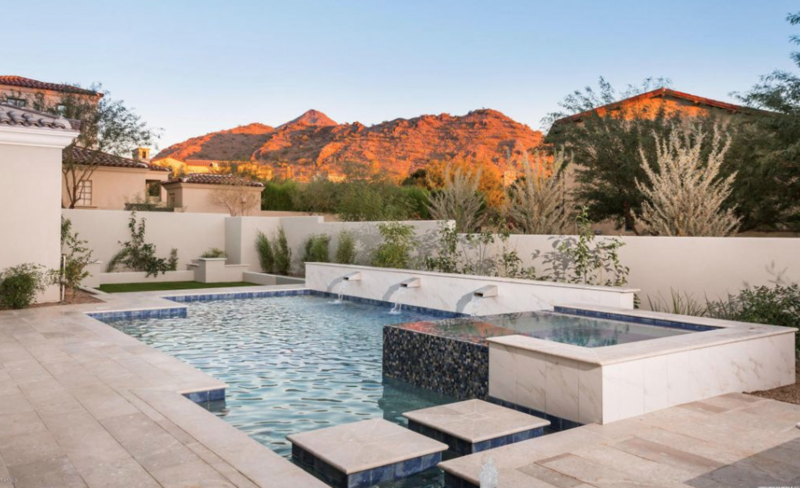 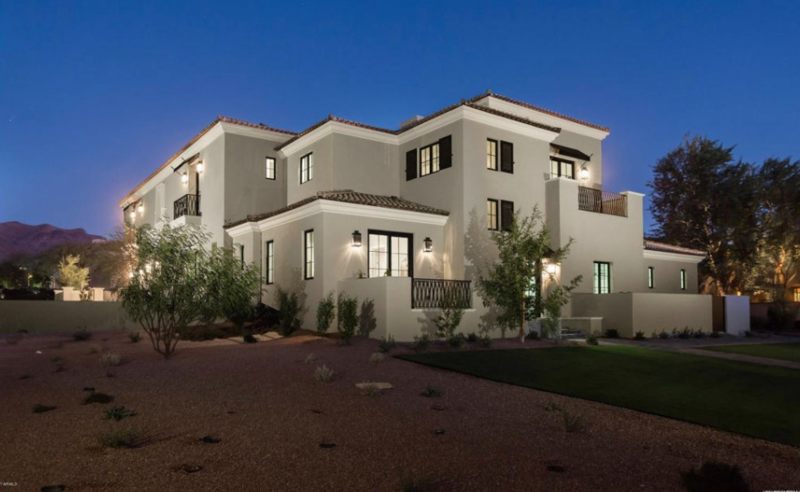 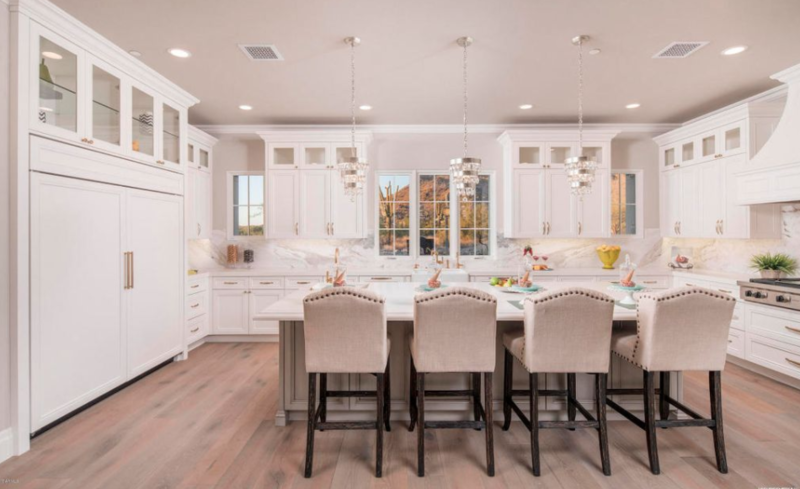 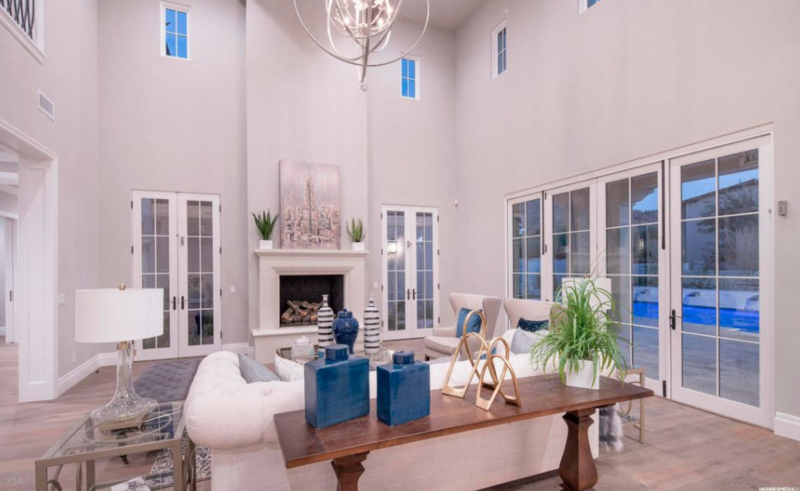 This newly built home is located at 10301 E Mountain Spring Road in Scottsdale, Arizona and is situated on half an acre of land. 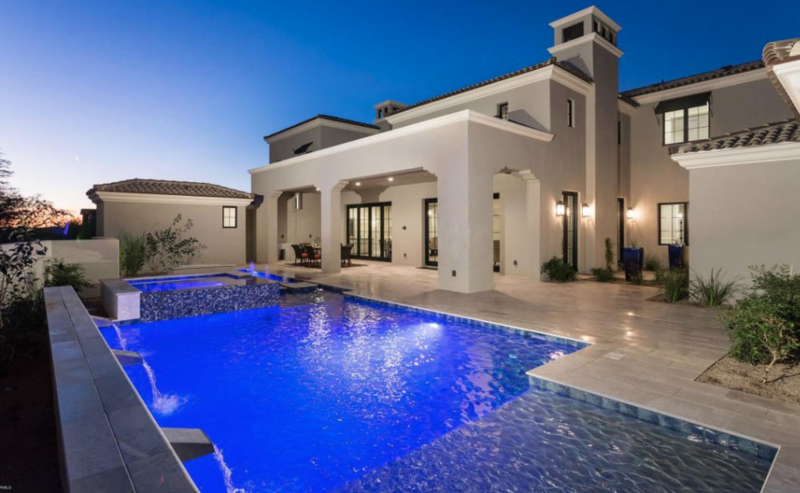 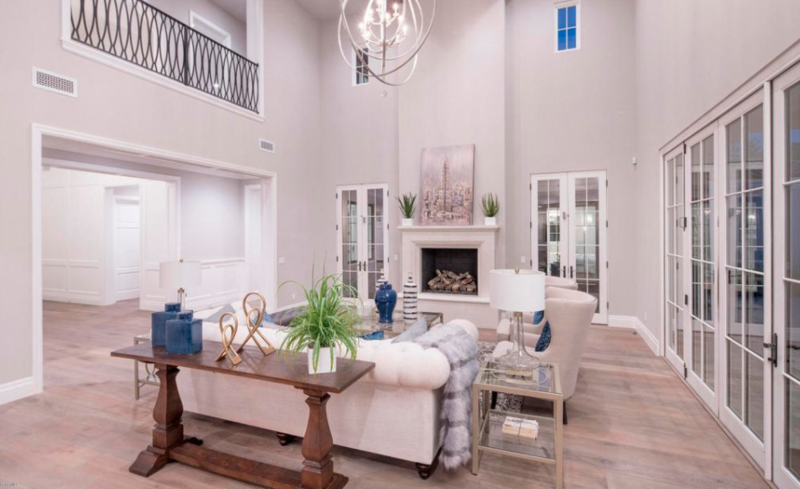 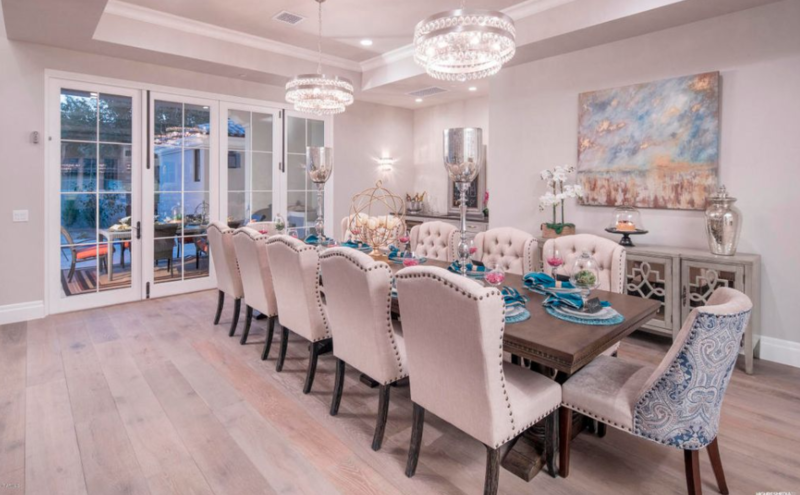 It features approximately 6,332 square feet of living space with 4 bedrooms, 6 bathrooms, 2-story foyer, staircase, 2-story great room, formal dining room, gourmet kitchen, garage and more. 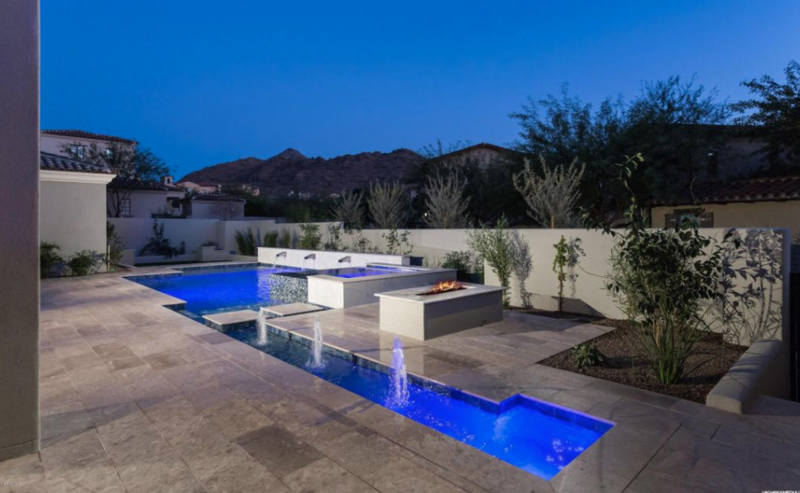 Outdoor features include a terrace, covered & uncovered patios, fire pit and a swimming pool with spa. 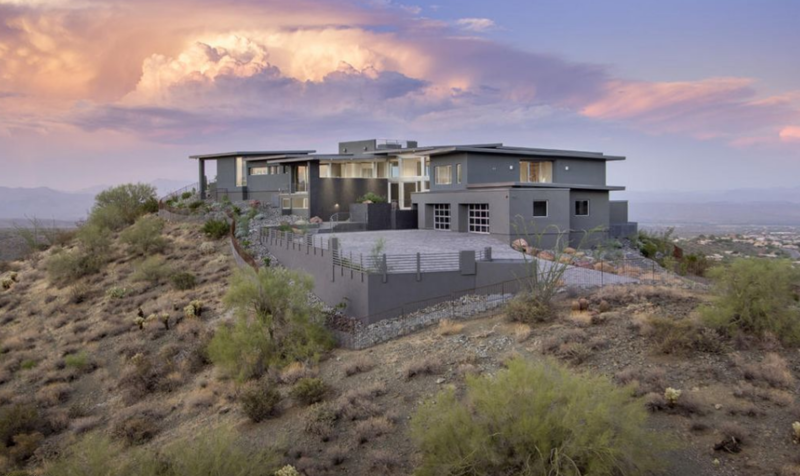 It is listed at $3,789,000.